Steve Rogers finds himself on the streets of Tokyo with no memory of where he has been for the last year. 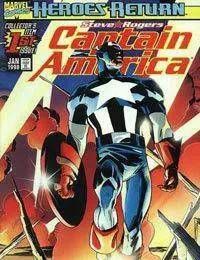 Before he can get his bearings, Captain America is called into action to stop a group of terrorists who are protesting the Americanization of Japanese culture.<br />Captain America finds himself back on Earth in the middle of Japan. Hes confused by the amount of excessive veneration he receives but puts it aside to save innocent lives from a bombing plot.